Kiara 100% Pure, Natural Organic Camelia Oil with its high levels of Oleic Acid (Omega 9) helps moisturise and maintain skin elasticity. 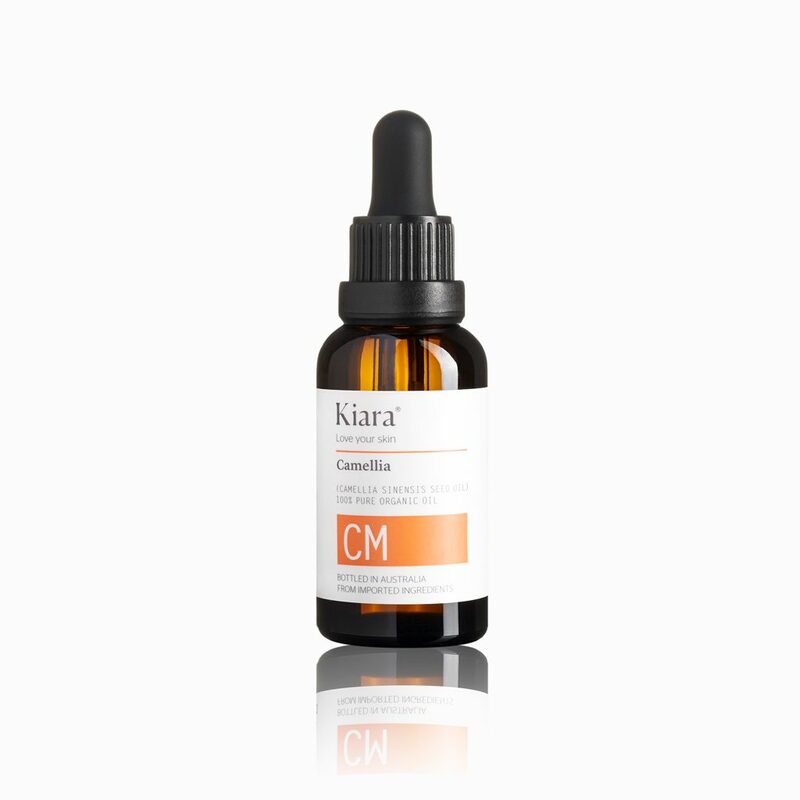 Kiara 100% Pure, Natural Organic Camelia Oil with its high levels of Oleic Acid (Omega 9) helps moisturise and maintain skin elasticity. 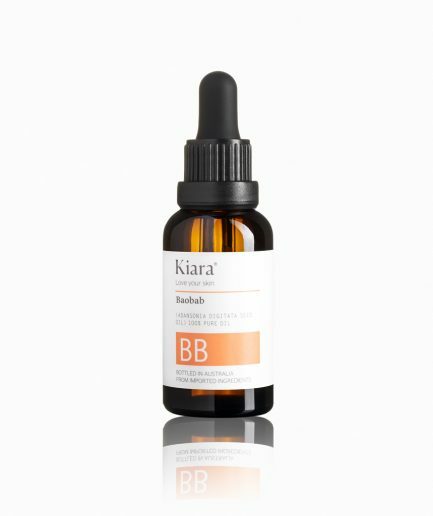 Rich in antioxidants, vitamins A, B, E and polyphenol, Kiara Camelia Oil can also minimise the appearance of wrinkles, blemishes and keep your skin feeling young and healthy. I love love love this oil! When I want to go out, or just moisturise after a shower I use this oil and it makes my skin feel moisturised without the heavy feeling that lotion leaves. I was sceptical about this product because of the oil and I was worried it would make my skin feel very slippery, but it was not the case. The oil sunk into my skin very fast and left it feeling very moisturised and smooth. I just received this, and have only been using for 2 days, but already love it! I have normal to dry skin, and have been using this in place of a moisturiser on the super humid days. Truly a great product! This oil is amazing !! 🙂 They smell wonderful and feel wonderful on your skin. I feel like I am in heaven when I use these products! Thank you KIARA for making me feel so pampered. I feel like princess!! I absolutely love this oil.I actually press it into my skin after applying my other night treatments. I do this on the advice of my dermatologist.He told me it would actually make my other products penetrate better. I will still get full benefit from the oil. I must admit I put it on my hands, elbows and neck. I wake with very soft, smooth skin. It is pricey but it will last. I think so much of it that I have purchased two additional bottles as gifts. When I received this product I was positively shaking with anticipation! Then my science background kicked in and I started to test the product on my skin. I can honestly say that this product left my skin soft and hydrated for many hours,even my little bags were remarkably reduced as the oil hydrated the area perfectly. I also applied it to the ends of my hair, and what did I get? Shiny, healthy looking locks!My body responded so well to this product, as if it were waiting for it. My parents admittedly watched me as I oohed and aahed, but they even complimented how bright my face looks. I feel much more confident to show my skin without makeup and channel my inner geisha 🙂 Coming from a student, I will definitely buy this product again, its worth every penny. Thank you Kiara for reminding us what uncompromising quality means. I run 4 droppers fulls on my scalp the night before using cleansing shampoo. Hair is so shiny! I also added 10 dropper fulls to my hair colour to protect and condition when colouring. Wonderful results. Smells amazing and so many uses. I love this oil, sometimes I just drenched my face with it as mask, let it soaked in and sleep through the night. The next day, my skin feels like never before. What a wonderful product. I love this treatment oil. I have that the best way to apply this oil so that it doesn’t just sit there on your skin is to apply the oil onto damp skin. I also spritz my face with Evian water lightly after application so that the oil has a chance to be rapidly absorbed. It keeps my skin hydrated longer.